Marketing is no longer about the stuff that you make, but about the stories that you tell. There was once a time when all the business was done face to face and reputations were built by charismatic businessmen. Today, however, things have changed and most of these tasks are completed via the internet. We, at Pinnacle TeleServices Pvt. Ltd., understand this gradual transition from face-to-face to digital marketing. Most importantly, we understand your brand and marketing challenge thoroughly. We help your business reach its true potential in the form of lead generation, enhanced ROI and a capacity to explore a more customer-oriented approach. Digital media is measurable and targetable to a great extent. Despite, the clear advantage of digital media, brands have to deal with changes in consumer behaviour, competitors altering tactics and new technologies. 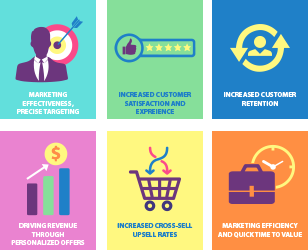 We help you overcome these challenges and ensure overall success for your digital marketing goals. We have developed an entire range of Internet Marketing Solutions and each of them has been designed keeping in mind the requirements of our clients. Pinnacle’s Digital Marketing solutions aim to create powerful interactions that empower our clients to best connect with customers. Mobile Marketing isn’t about the devices, it's the combination of various platforms which allow the brands to develop different ways to interact with customers, to sell more, to increase loyalty or simply to offer a better service. Pinnacle already has the tools to start your mobile strategy today, inexpensive and easy, so don't wait - get ahead of the competition. All commentators agree that Mobile Marketing is the future, but in fact Mobile Marketing is about NOW!! !